The public release of Apple's iOS 7.1 could just just a few weeks away, with reports claiming the company has no plans to release more beta versions of the software to developers. BGR reports the company's beta testing of the first major update to the revamped iOS 7 is complete after five beta versions, with only a gold master version to arrive before it becomes available to consumers. According to the site's source, Apple plans to drop iOS 7.1 in early March, which ties into previous speculation. iOS 7.1 has been almost five months in the making and will offer some visual refinements and potentially introduce a few new features, such as iOS in the Car. The company also hopes the update will fix the random reboots, app crashes, and general sluggishness experienced by some users since iOS 7 fell in September 2013. It has not yet been suggested that Apple plans to address the startling drop-off in battery life experienced by older iPhone owners since upgrading from iOS 6. What would you like to see Apple introduce or fix with iOS 7.1? Let us know your thoughts in the comments section below. 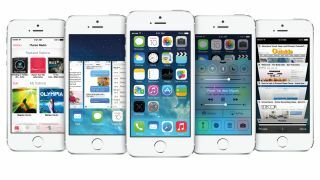 Will iOS 7.1 allow iPhone owners to delete those massive, space-hogging OS installation files?